Ingredients: 4 large cucumbers or in my case 8 smaller ones – enough when sliced to fill up my colander! 1 pint of vinegar (I use organic cider vinegar as I can get it in large quantities from Rainbow Wholefoods, 1lb sugar, 1/2 tsp tumeric, 1/4 tsp ground cloves, 1 tbs mustard seeds, salt. 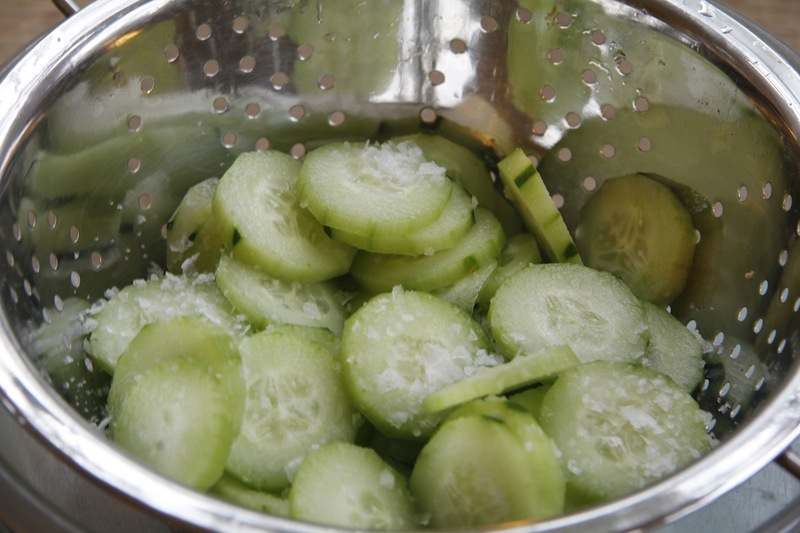 Peel and slice the cucumbers, layer them in a colander sprinkling with salt as you go – you will need approx 2tbs more or less. 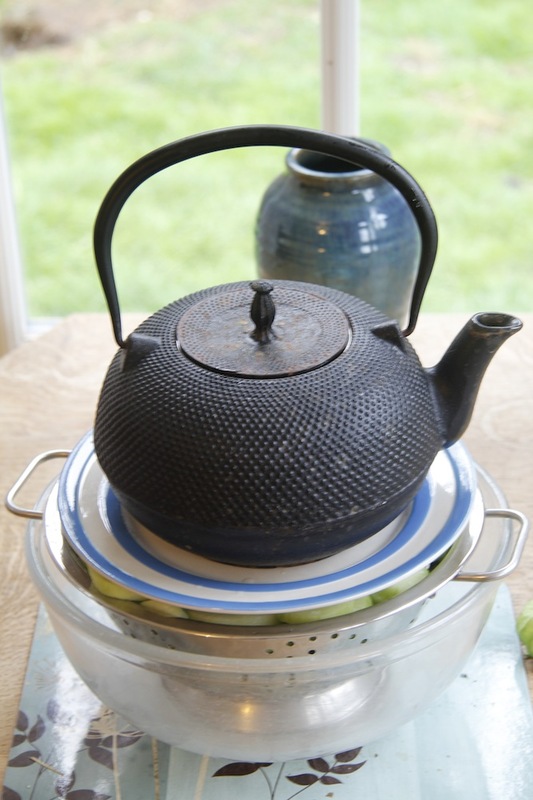 Cover with a plate and press down with a weight – I use my large cast iron teapot – well why not? LEave for three hours or overnight. Gently heat the vinegar, sugar and spices in a large-ish saucepan until the sugar is dissolved. Add the cucumbers and turn up the heat. Bring to the boil. 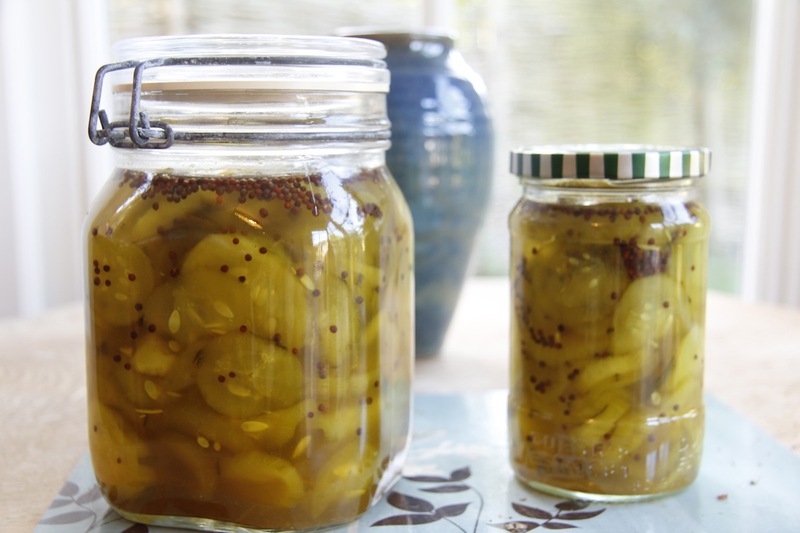 Simmer for one minute then remove the cucumber slices and put them in sterilised jars. 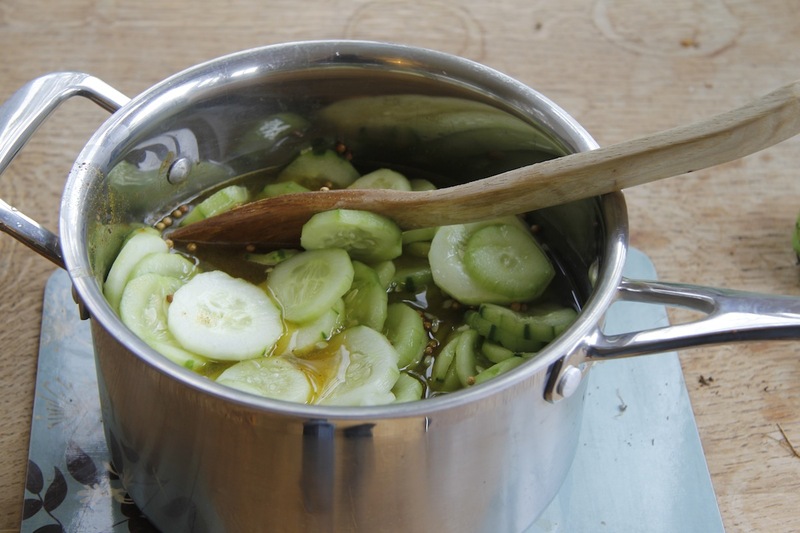 Continue to fast boil the vinegar until it has reduced a little – for about 15 minutes, then pour over the cucumber. Leave to cool and then seal the jars. Store for one month before using. Keeps for ages in theory but in practice we eat these very very quickly. N.B. I can hear chicks peeping from the incubator – today is the day they should be hatching. 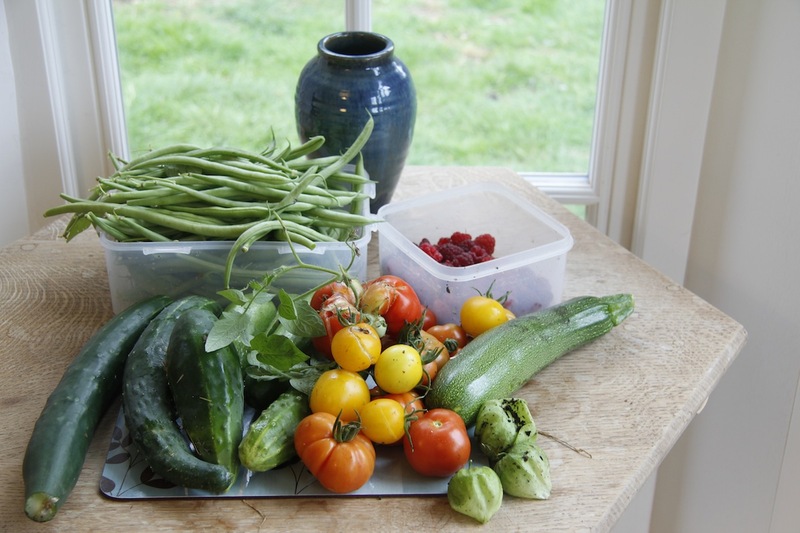 So far one has already pipped – I am beside myself with excitement! Photos to follow soon.